Welcome to the Lynda Hunter and Virginia Kimmel Children’s Library. This bright and inviting space is dedicated for children from birth through the 8th grade. Friendly and knowledgeable librarians are always available to find just the right book, answer your questions, or give your child the resources they need to succeed. We love to help children connect with books! Welcome to the Lynda Hunter and Virginia Kimmel’s Children’s Library. 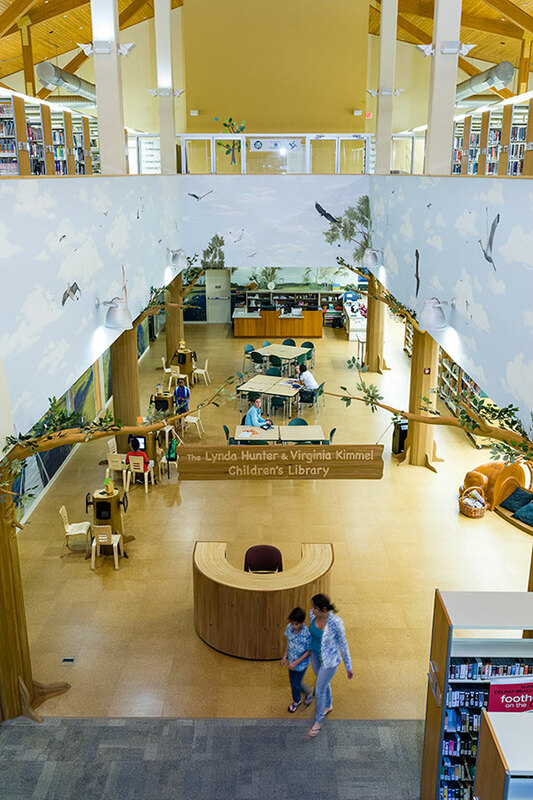 This bright and inviting space is dedicated for children from birth through the 8th grade. Every month the Library hosts a range of programs and clubs for children, from infancy to elementary school age. Throughout the year, we host special events for family fun for all ages. Palm Beach County children of any age can receive a library card. The age at which they get a card is at the discretion of their parents. All that is required is a parent’s/guardian’s identification showing proof of address and their signature on the application form. The parent/guardian needs to be present for library card sign up. Parents or caregivers are responsible for their children’s behavior while in the Library. Parents or caregivers may not leave a child under the age of 12 unattended at any time. Delray Beach Public Library announces a new early learning initiative to promote early literacy skills for children from birth to age five. 1000 Books Before Kindergarten Challenge, is a new Library program that encourages all families and caregivers to read at least 1000 books with their young children (ages 0-5 years old) before they enter Kindergarten. Reading to preschool-age children builds vocabulary, language skills, and helps prepare them with the skills they need for Kindergarten. In as little as 15 minutes a day, families can build the skills for future school and life success. This National Program has documented success in providing pre-school reading fundamentals to children as well as family bonding time. 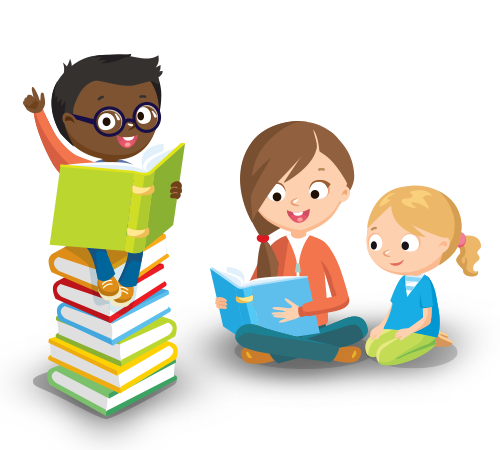 Watch the Library’s calendar for read together events to support the program. 1,000 Books Before Kindergarten runs from January to June. Participants can join at any time. Library card required to sign-up. Story times are a great way to bond with your baby or child while promoting early literacy! All story times are open to the public and require no prior registration. Children must participate with an adult. See calendar for specific dates. Set the stage for slumber with a bedtime story, music, imaginative gentle yoga poses, and mindful relaxation. Pre-registration is required for all clubs. Come experience new cutting-edge technology used by inventors and engineers. Learn to design your own creations using online Computer-Aided Design (CAD) software. Then, make them a reality using one of the library’s 3D printers. This is a STEM program! All aboard! In this six-week class, students will learn a variety of skills including: 3D printing & computer-aided design; audio recording & production; and computer programming & game design. See calendar for dates and sessions.